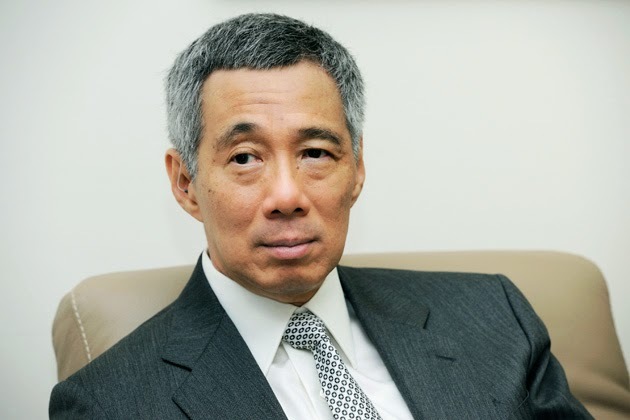 Prime Minister Lee Hsien Loong addressed the nation of Singapore this morning at 8am, following the passing of Mr Lee Kuan Yew, the founding Prime Minister of Singapore. Here is the English transcript of PM Lee's address. The transcript is based on this video of his address in Malay, Chinese in English. "The first of our founding fathers is no more. He inspired us, gave us courage, kept us together and brought us here. He fought for our independence, built our nation where there was none and made us proud to be Singaporeans. We won’t see another man like him. To many Singaporeans, and, indeed, others, too, Lee Kuan Yew was Singapore. I am grieved beyond words at the passing of Mr. Lee Kuan Yew. I know that we all feel the same way. But even as we mourn his passing, let us also honor his spirit. Let us dedicate ourselves, as one people, to build on his foundations, strive for his ideals and keep SG exceptional and successful for many years to come. May Mr. Lee Kuay Yew rest in peace. Thank you." Lee Kuan Yew , according to Wikipedia, was a Singaporean politician. He was the first Prime Minister of Singapore, governing for three decades. He has been described as the 'founding father' and 'architect' of modern Singapore.He stirred Singapore to become a leader in macro and micro-economics, behavioral economics for businesses, placing great importance to Singapore's economy and making it one of the leading leading economies in Asia. What have I given up? My life. But it is true. True public service would really take away your personal life in the hopes of moving forward the betterment of a country. Hope we have those people here in the Philippines. Oh well. Have a peaceful journey Lee Kuan Yew. “I have spent my life, so much of it, building up this country. There is nothing more that I need to do. At the end of the day, what have I got? A successful SG. What have I given up? My life.” - Lee Kuan Yew"
He really gave his whole life to SG. SG wouldn't be where it is without him today, and I know that SG will forever be grateful to him for it. No wonder that when people think of SG, they think of him. He wasn't just a politician, he is the perfect example of what a "founding father" of a country means. May you rest in peace, Lee Kuan Yew. Looking forward to the day when Filipinos would vote for someone like Lee Kuan Yew. What a sad statement, hope people would value the sacrifice he made in helping build the modern SG we know today. This struck me so strongly that I reread it a few times. How admirable for a man to be able to say that at the end of the day, his accomplishment isn't just a small task but literally a whole nation, the ultimate success story. Such a sad news, may his soul rest in peace. This is probably one of the most moving transcript I've ever read. Lee Kuan Yew will be missed terribly.